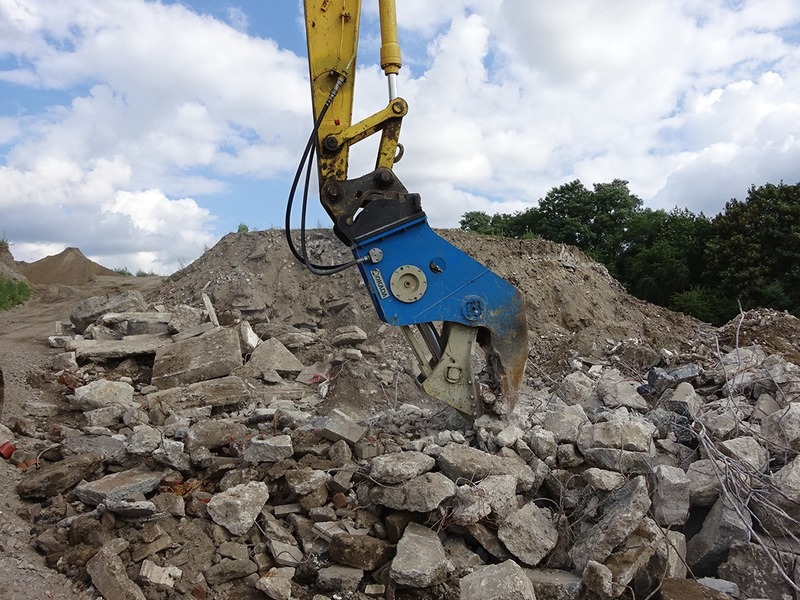 Pulverizers were developed as a result of a growing need to reduce disposal volume and recycle concrete waste created during concrete building demolition. 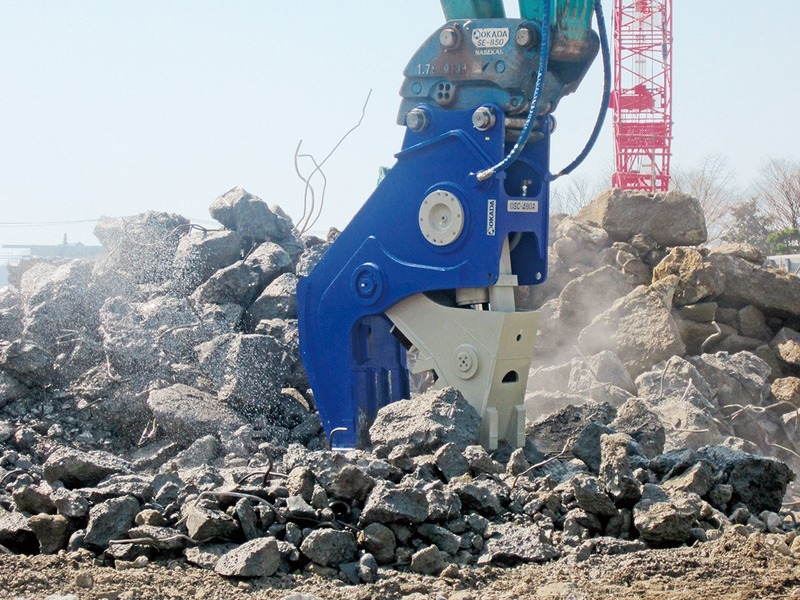 The flat, wide jaw design and an internal speed valve make it possible to grab and crush large sections of concrete quickly. Large jaw opening and crushing area ensure unmatched productivity. “Shell-shaped wedge” provides high crushing ability. A high flow speed valve built into the cylinder achieves the faster cycle time in its class. Short body: Easy to operate. Note) The above specifications are subject to change without notice. The above specifications assume the use of an OKADA universal pin mount. Copyright© OKADA AIYON CORPORATION. All Right Reserved.